Mad To Be Normal, the 2017 movie based on the life of maverick Scottish psychiatrist RD Laing, will be released across digital platforms in the USA from February 16th. Distributors Samuel Goldwyn Films have released a new poster and a US trailer ahead of its arrival in North America. 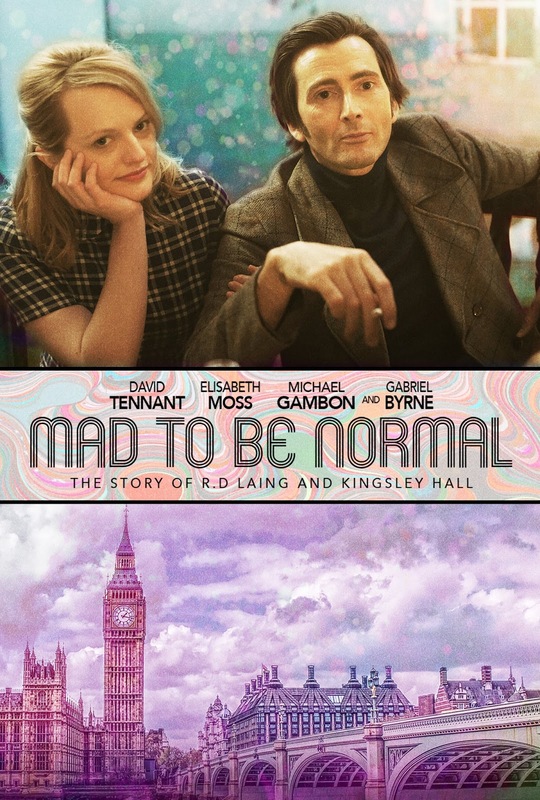 Set in the late 1960s, Mad To Be Normal stars David Tennant as Dr RD Laing, the man who revolutionized the way that mental illness is treated. The film focuses on Laing's experimental community at Kingsley Hall in London, where patients and medical practitioners lived together as equals and people experiencing psychosis were encouraged to live through their symptoms to achieve a resolution of their illness. The film was written and directed by Robert Mullan, based on his own conversations with Laing. Mad To Be Normal also stars Elisabeth Moss, Gabriel Byrne, Olivia Poulet and Michael Gambon. The movie had a limited release in UK cinemas in 2017 and is expected to appear on TV in the UK early this year.